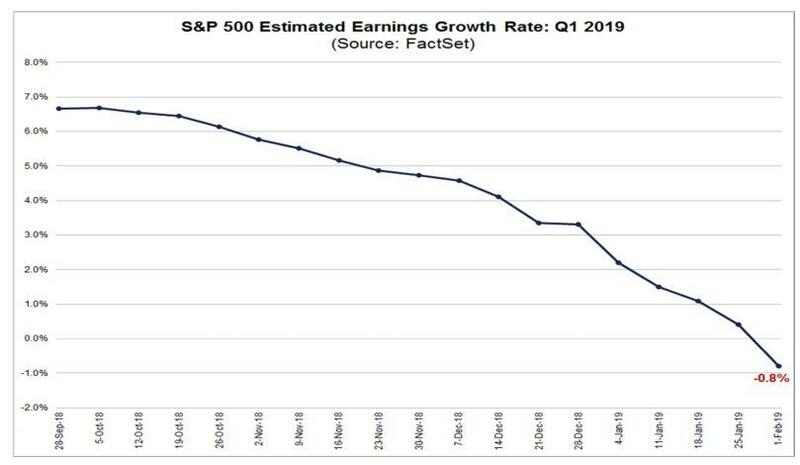 Over the weekend we reported that the era of "peak profits" has finally arrived, with consensus now expecting S&P500 earnings to post the first year-over-year decline since 2016. And while the future of corporate profits is increasingly nebulous - despite the Q1 EPS decline consensus still expects Q2-Q4 to post earnings growth leading to another full year of rising EPS - problems are emerging amid already reported earnings. 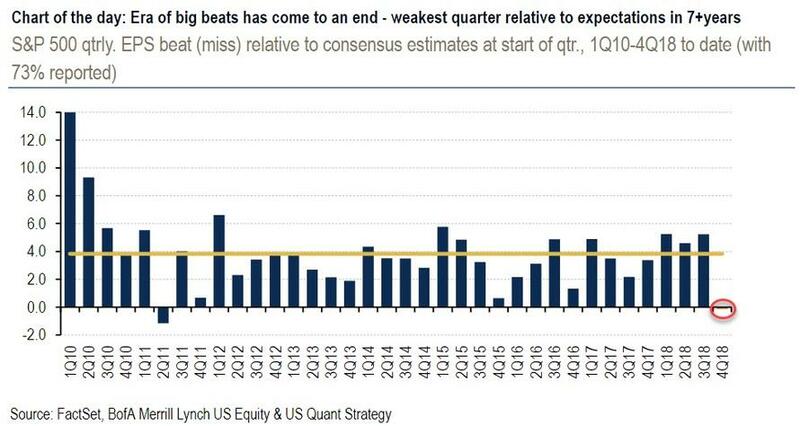 And that's precisely what has taken place: as BofA's Chart of the Day shows, the "Era of big beats has come to an end" and Q4 has seen the weakest quarter for actual results relative to expectations since Q2 2011. The problem is that analysts already trimmed expectations more than usual heading into the quarter, and as shown in the top chart, results are now barely coming in line with those lowered expectations, with beats from Energy, Comm. Services, Industrials and Health Care offset by weaker-than-expected earnings from Financials, Materials, and Tech.